Our Sweet Caroline Dresser is really the sweetest piece. 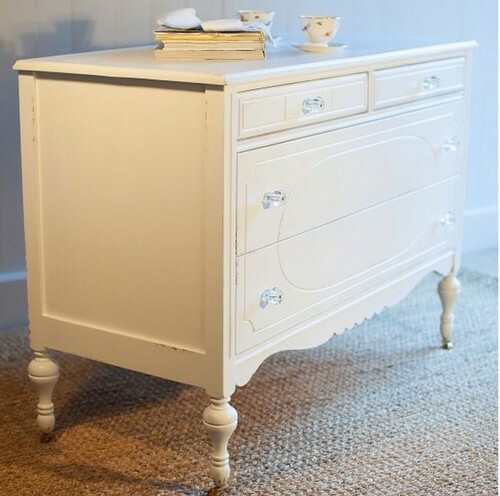 Inspired by an antique it offers beautiful detailing, elegant legs, and brass casters on the feet. 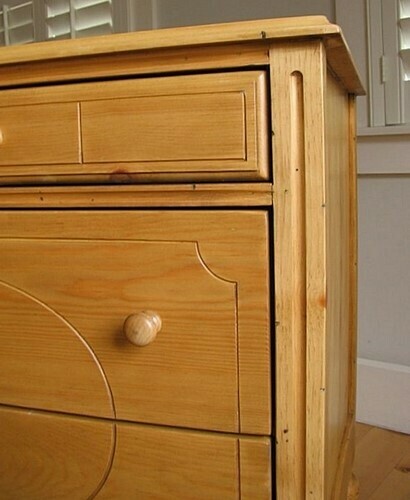 Comes standard with wooden knobs, but traditional glass knobs (as shown) can be added for an additional price. 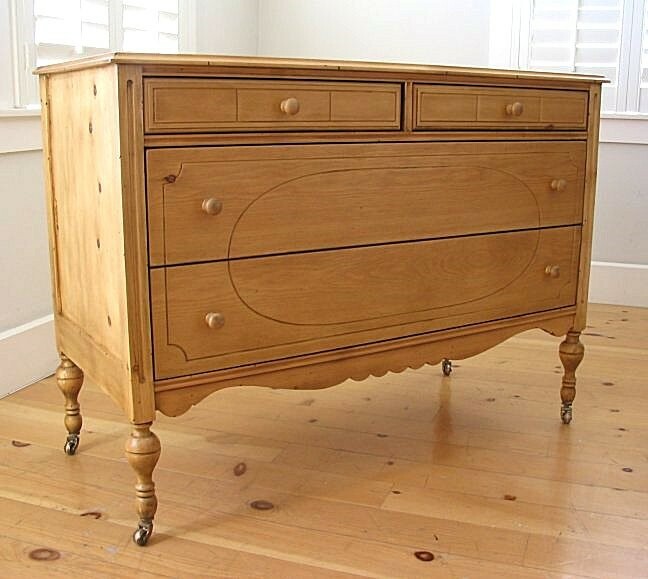 Measures 38"L x 20"W x 35"H.
Check out our Carolina Armoire that completes the bedroom set.